Some of the best spin bikes are now available for your home gym, so you can get that intense workout that you love without having to go to the health club. With the growing popularity of this type of training, there are more and more great options available to you. What are the choices out there? Just like with most cardio equipment, there are a wide range of options when it comes to spin bikes, or indoor cycling bikes as they are also called. There are a number of companies that make them, and they come in a wide range of prices, features and capabilities. Our latest spin bike reviews revealed about a dozen manufacturers, including Schwinn, Keiser, Life Fitness, Sole, Diamondback, Horizon and Precor. All of these companies are very well regarded in the industry, and produce high quality exercise equipment. As far as deciding which one to choose, the best starting point is budget. Try to figure out how much you're able to spend and work your way up from there. If you're able to stretch a little bit, that will help you get an additional feature or two that might be very important to you. Remember, you'll always be happier and more motivated to use a better quality spin bike...so try to get the best one you can afford. The cheapest spin bikes on the market will be under $500. There are some good choices here like the Sunny Health & Fitness Pro Indoor Cycling Bike, that come with a nicely weighted flywheel, good construction, good adjustability, and typically multi position handlebars. The downsides on these less expensive bikes is usually lower max weight capacities, durability, workout feedback and shorter warranties. So these are perfectly OK for one average size user, not a whole family hitting it hard every day. Some of the most popular brands in the under $500 category include Schwinn, Exerpeutic and Bladez. As you start moving up into the $500+ range, you begin to see an improvement in quality. 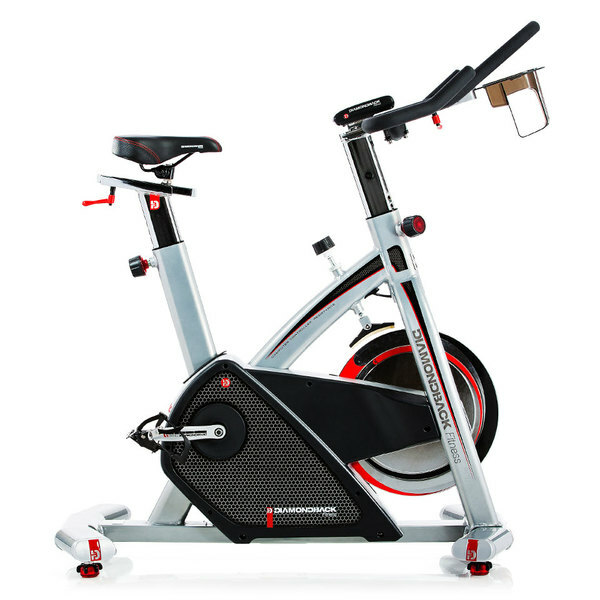 Top models include the Diamondback 910Ic, which come with a heavier flywheel, more adjustability, more advanced consoles, more resistance levels and even some built in workout programs and heart rate monitoring. So if you are a little more serious about your workouts, you might want to consider one of these models if you can afford it. The closer you get to $1000 the more you can expect. Some of the most popular brands in the under $1000 category include Diamondback, Sole and Horizon. Our spin bike reviews revealed that once you get up above $1000, especially above $1500, you're dealing with top of the line trainers that are as close to the ones you find at your gym as possible. These are durable bikes with all of the features and capabilities you could ask for. One of our favorites is the Keiser M3i, with a rear flywheel, top notch construction, magnetic resistance, tons of adjustability as well as Bluetooth workout tracking capability and core muscle targeting (M3i and M3iX). The best spin bikes in this category include Keiser, Life Fitness, and Precor. There aren't many spin bikes over $2000 on the market, but there are a few very good ones that are worth considering if you have the budget for it. The most popular ones are the Life Fitness IC Series, with a number of awesome models to choose from depending on your needs. And you can always consider the Peloton bike, which with the required monthly subscription will run you about you about $2,500. So Which Spin Bike Should You Buy? You can go directly to out Best Indoor Cycling Bikes page for our expert's breakdown of the top spin bikes for the year. This gives you your best bets in the various price ranges. Most people will be just fine in the $500-$1000 category. 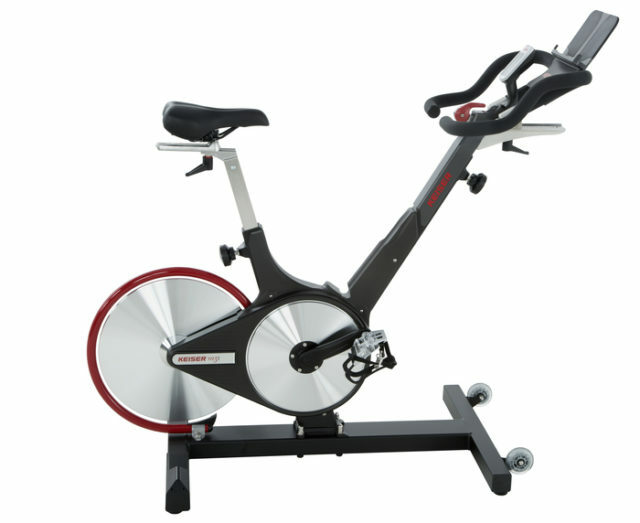 Here you can get a very good spin bike that will provide a solid workout for you and other members of your family, and last for a number of years. As we mentioned, Diamondback, Sole and Horizon are all top names in the business and they make very well designed, well constructed cardio equipment. If you just don't have more than $500 to spend, try to get as close as possible...i.e. you'll be happier with a $400+ spin bike than a $200 one. Look at Schwinn, Sunny and Bladez. If money is no object, and you just want the very best spin bike on the market, then look at Keiser, Life Fitness and the newest Precor models that were recently introduced in partnership with Mad Dogg, the original Spinning bike manufacturer. We hope these spin bike reviews were helpful. One last tip...if you do opt for one of the cheaper spinners, opt for the extended warranty if it is available. This will give you peace of mind in case something fails within the first few years, which tends to happen on the less expensive exercise bikes.